**Update 2/2/15** Jonathan Woodward has created some better worksheets to go along with these commercials. You can find them in this folder. !Gracias! This is a continuation of a previous post about using commercials in the classroom. 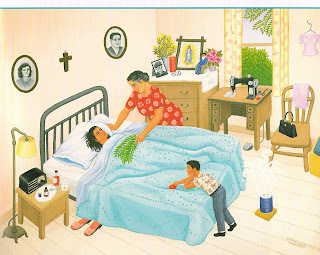 In Spanish 2, we use the Realidades level 2 textbook. In chapter 2A, the theme is talking about your morning routine, with an emphasis on reflexive verbs. So, rather than the book audio activities, I decided to use the seven commercials below as listening/speaking/interpretive activities. Students talk about what they see in the commercials, read the transcription aloud, listen and fill in the blanks, interpret the commercial, and finally, try to imitate the speaker(s) of the commercial. Here is the worksheet that I gave to students. Below each commercial is the cloze activity for each. These commercials include a lot the chapter's vocabulary and provide a lot of opportunity for students to talk about the morning routines. They also give students exposure to a variety of accents and grammatical structures, including some voseo. Cuando tus hijos se acuestan sin 1.________________________ los dientes… (ocho veces más bacterias… ocho veces más bacterias). Se exponen a ocho veces más bacterias que causan caries. Asegúrate que usen "Máxima Protección Anticaries" y dile "Buenas 2.________________________" a las bacterias. Colgate. La marca 3.________________________ uno recomendada por odontólogos. A ver. ¿Natalia? Presente. Tú vas a ser la abogada. ¿Pedro? Tú 1.________________________ a ser el bombero. Sí. Y el doctor va a ser Luisito. Cuando tu hija falta 2.________________________, pierde oportunidades. Con Escudo, ayudas a prevenir enfermedades como unas causadas por bacterias. 3.________________________ limpias por una mejor educación. ¿Tu piel irrita al 1.________________________? Prueba la crema Gillette anti-irritación. Ayuda a combatir 2.________________________ signos de irritación en el afeitado. 3.________________________ a defender tu piel. Y la clásica: Flor de naranja. Me cuesta ir a 2.________________________. Pero a mi mamá no le va a costar. En Arrocha vamos a comprar, mochilas, loncheras, el diseño que tú quieras, cartucheras, sacapuntas, plumas pa’l que apunta, cuadernos divertidos para estudiar con estilo, hay libros de texto que no te echan cuentos. Hay juegos de geometría, calculadoras, gomas, cartulinas, y engrapadoras. Pero a mi 4.________________________ no le va a costar. En Arrocha vamos a 5.________________________. Natura te invita a pensar por qué te pintás la 1.________________________. Nueva línea de 2.________________________ Natura Una. Natura Una, la mejor expresión de vos misma. Acercate a una 3.________________________ Natura. Vamos a brillar. 1. ________________________mágicas. Viene con cosméticos de verdad. 2.________________________. Con uñas mágicas, divertirse está de moda. Brillan en la oscuridad. Sentite creativa. Así de 3.________________________. Con uñas mágicas, hay magia en tus 4.________________________. How about using this commercial for a quiz?!? Alison Nelson and I are presenting a session called "Using commercials in the Spanish classroom" at MaFLA and NHAWLT in a few weeks and I have been working a lot on the presentation. The session should be fun and participants will walk away with a lot of ideas and worksheets! Commercials are a great way to expose students to short, engaging, comprehensible authentic resources. They are also an easy, fun way to increase their listening proficiency. Students also see some aspects culture (depending on the commercial) and hear a variety of accents if you use commercials frequently. For Spanish 3, my school use the second half of Realidades 2 textbook, so I am tied to that book and its chapters. We are also reading Robo en la noche on the side (love it, highly recommended). This semester in Spanish 3, I am trying to give one "commercial quiz" per unit. The commercial quizzes will be directly related to the Realidades 2 units, and I will be posting them here as the semester goes on. Basically the "commercial quiz" is an interpretive assessment in which students have to answer some questions about what they see in the commercial, listen and fill in the blanks of missing words (they don't have to get all of them), and then answer some questions about what the commercial is saying. I am also trying to include some cultural comparison questions (keeping the AP Spanish presentational section in mind). I let them listen to and watch the commercials as many times as they want (limit being that they have to finish by the end of class). The quizzes take about 30-45 minutes and are perfect to do when doing a speaking assessment on the same day. Do a similar activity together in class or for homework. If this is the first time they are being exposed to this type of activity, it can feel very difficult. Remind students to listen and look for cognates. Tell students to watch the commercial 2-3 times without even looking at the worksheet. Keep the answers simple! Don't over-think! Explain (or remind) to them the difference between interpreting and translating. This is an interpretive assessment and they should focus on getting the main idea. They do not need to understand all of it. This was the first "commercial quiz" that students did at the end of chapter 5A called: Un acto heroico. The had already seen two other similar commercials and done similar worksheets (here and here). This is the second commercial quiz that students did at the end of chapter 5B Un accidente. They had already seen this commercial and similar ones (see Zachary Jones' Aununcios: ¿Qué le duele? + Partes del cuerpo). Click here for quiz. Here is one that I am looking forward to doing. I think students will be able to relate to this one! I might actually give it as a Tarea Semanal option because I am not sure it will fit with any of the chapters for Realidades. Click here for worksheet. I also used this catchy commercial in Spanish 2 this year to review school supplies. Students liked it and some even wanted that to be our "song of the week". Click here for worksheet. Here is a very basic rubric that I created to grade these quizzes. I am sure that this will be improved, but this is a start. I will be sharing our MaFLA presentation and all of the commercial worksheets here in late October. Two other places to find commercial transcripts are Zambombazo (tag: publicidad) and in this collaborative document (started by Sara Cottrell) with tons of commercial transcripts. I recently came across the song "La curandera" by Elastic Bond (link Zambombazo wksht and other resourcest) while listening to Betsy and Zachary Jones' LAMC 2013 Artists' Choice Podcast (29:38). It is an excellent song that expresses some great cultural practices and perspectives related to health, so I decided to use it in a unit called Perspectivas de la salud (website with authentic resources linked at bottom and UbD outline with assessment descriptions). ¿Cómo es el sistema de salud en la República Dominicana y en otros países lationamericanos? ¿Cuáles son algunas prácticas medicinales alternativas y cuáles son las raíces de estas tradiciones? ¿Cuáles son las persectivas culturales sobre los sistemas y las prácticas de la salud en estas tres canciones: El Niágara en bicicleta, Yerbatero and La curandera? ¿Cómo comparan y contrastan las prácticas y perspectivas expresadas en las canciones con las tuyas? I created a short worksheet with questions about "La Curandera" and hope to create a cloze worksheet once I find the lyrics (or the time to transcribe them). La curandera has a lot in common with Yerbatero by Juanes. And both will contrast very well with El Niágara en bicicleta, which led me to the next update to the unit. El Niágara en bicicleta is the first song that I use in the unit. It illustrates the deficiencies of the health care system in the Dominican Republic (with some obvious exaggerations). It also leads students to understand why alternative medicine might be a reasonable solution for many people who live in a place where the health care system is not very good and/or available to all. The song has always been difficult for students to interpret and understand. So when I read a post called "Authentic Resources + Embedded Reading" on Crystal Barragán's (@srtabarragan) excellent blog, I decided that creating an embedded reading for this song would be the perfect way to get students to understand the song. Crystal also shares a variety of activities that can be done with each version. This is my first attempt at creating an embedded reading, but I think it will make the interpretation of the song much easier for my students. I have never used embedded readings before, but I am excited about this idea because I think my students will be able to understand and interpret songs in a much better way and with much more confidence! I look forward to creating more embedded readings for other songs this year. How about you? Have you used embedded readings? Any suggestions? Upadte 10/15/17: I am sharing part of my unit packet for the latest version of this unit, which does not include "Bandera" or "Pa'l norte." It does include two songs: "Un besito más" and "ICE El Hielo" and the movie "Ladrón que roba a ladrón," with resources from Arianne Dowd. Update (7/22/17): The song "Un besito más" by Jesse y Joy is a definite addition to this unit! Click here to see free resources. We just finished the unit called "Perspectivas de la Inmigración" (UbD curriculm document and unit packet) in my Cultura y Civilización unit. This is the fourth time I have done this unit and it has been a little different each time, but the one thing that has stayed the same is the engagement in this unit. Most students have an opinion about immigration and undocumented immigrants in the United States, so they are interested in this unit. By the end of the unit (hopefully), they understand how complicated immigration laws and reform really are. They will also understand a little more about the undocumented immigrant experience in the United States and (hopefully) develop some empathy for undocumented immigrants. ¿Por qué emigran ilegalmente muchas personas a los Estados Unidos? ¿De dónde es la mayoría de los inmigrantes indocumentados? ¿Cómo llegan algunos? ¿Por qué vienen ilegalmente y no legalmente? ¿Cuál es el proceso de entrar legalmente en los EEUU? ¿Qué pasa ahora con la reforma migratoria en los EEUU? ¿Qué es el DREAM Act? ¿Quiénes son algunos cantantes que cantan sobre la inmigración? ¿Cuáles son sus perspectivas? ¿Cómo son diferentes y/o similares las canciones y los videos? ¿Qué opinas tú de las canciones? En tu opinión, ¿hay una solución al problema? ¿En qué consiste? The first Essential Question was the speaking assessment (done about halfway through the unit). In order for them to answer those questions, they had to investigate a bit. Below are some of the links they used to gather information before discussing in class and taking the "speaking test". We did not use all of them, but did use the bolded ones. Some are authentic resources and some are in English. I really liked the infografías because they are excellent differentiated readings. Encuesta: ¿Cuánto sabe de la tarjeta verde? El perfil de un soñador. ¿De dónde son y adónde van? Artículo: ¿Cuál es el panorama de la inmigración en los EEUU? Podcast: PRI The World: What does getting in line really mean? Another thing we did at the beginning of the unit was watch an episode of the "reality show" 30 Days. It is English, but students answered questions (see unit packet) about it in Spanish and we discussed the different (at times extreme) perspectives of immigration in the show. Although it is a "reality show" and a little much at times, I continue to show it to students because I think they enjoy it and learn a lot from it. 30 Days: Immigration from MacQuarrie-Byrne Films on Vimeo. Perspectiva #1 - Bandera by Aterciopelados - This song questions the idea of having borders and the immigration laws of some countries, obviously the United States being one of them. The lyrics are simple and easy to understand and the music video is excellent for discussion! *Note*: Some students did not like this video because they felt like it was anti-American (and it might be), but I explained that this is a perspective of some people. A good question to ask then is, why do they have that perspective? Perspectiva #2 - Pa'l Norte by Calle 13 - This song is about the journey of an undocumented immigrant as he travels North. The journey is described as being very difficult and the undocumented immigrant is glorified for his grit and persistence. The song also has some excellent cultural references and the vocabulary in this poem/song is rich. This video is also excellent for discussion. *Note*: This song contains some language and phrases that some might not want to use. I skip some parts of the song and focus on the important parts. Also, René might be drunk in the video, I ignore that part. Perspectiva #3 - ICE El Hielo by La Santa Cecilia - This song shows the experience of undocumented immigrants in the United States. It is a beautiful song and easy for students to understand. The video is also powerful. This perspective is particularly important because it is one sung by a band from the United States. It was also interesting for students to hear one of the band members speak here (starting at 10:55) about being an undocumented immigrant. As with all the units, we sang all of theses songs a lot and students became very familiar with the videos as well. We also illustrated Pa'l Norte as a class and students illustrated ICE El Hielo in groups of 2-3. (I need to get some pictures of those on here!). All of the discussion questions about the songs and the videos are in the unit packet. This is the unit test. Students did an excellent job on this assessment. I love correcting them because for many of the questions, there is not one right answer. The questions are so open that students can take many paths to answer them. There are so many excellent authentic resources for to teach a unit about immigration! Check out Zambombazo's resources here. 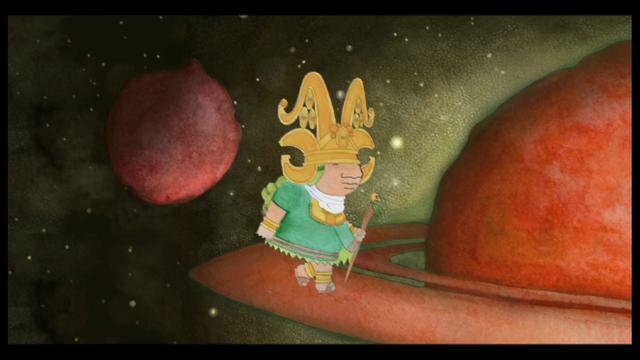 La Misma Luna is also an excellent movie to show students. What are some of your favorite resources to teach about immigration? Please share! Update 1/23/18: Here are all of the units with EQs and some UbD docs. At my school we use the Understanding by Design model for our curriculum. As part of the end of the year, we have to turn in a binder with all of our units. So, I have been revising and updating all of the units that I taught this year in my Cultura y Civilización course (Spanish 4 or 4+ for some). I thought I would share them in case anyone else uses the UbD model, which I really like. The Essential Questions are an excellent way to guide the units, and I think I will be able to adapt many of these units for AP Spanish next year (teaching it for the first time). As I revised and updated these documents, I became very proud of how well my students have done this semester with some complicated Essential Questions that do not necessarily have a "right" answer... and of course, in Spanish! They have improved so much this semester, and learned a lot of other things along the way. These are the eight units that I will have done by the end of this year. I have blogged in detail about most of them on this blog. All of the units revolve around songs and music videos (= more engaging), but they include many other authentic resources as well. Big thanks to Zachary and Betsy Jones for all their work, which made my work easier when creating all of these units! I also realize that these units will always be evolving and, hopefully, improving, so if you have any suggestions, please share! Update - I will not use the movie Canela (movie guide) with this unit. Update - I now use the TPRS book Noche de Oro with this unit. **UPDATE 2/1/15** I have added the TPRS book Noche de Oro to this unit. I highly recommend it and the Teacher's Guide. 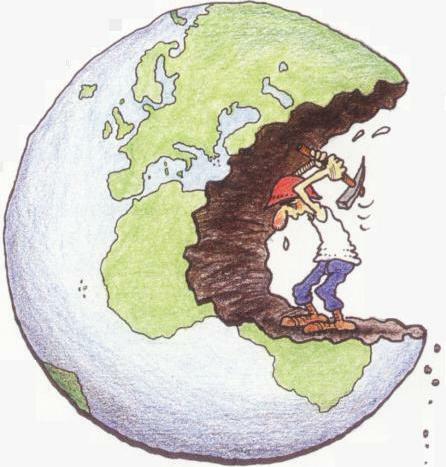 In my Cultura y Civilización class, we just finished a unit called Desafíos Medoambientales. I was very pleased with this new unit and with how well my students did with all of the authentic resources. They have come a long way since the beginning of this course and I am very proud of them! They delved in to some real life issues, thought about opposing forces, and possible solutions to some of environmental problems... in Spanish! ¿Quiénes son algunos cantantes que cantan del medio ambiente? ¿De qué se tratan sus canciones? ¿Cómo son diferentes y/o simliares? ¿Cómo reflejan la realidad? ¿Por qué son importantes estas canciones? ¿Cuáles son algunos problemas del medio ambiente que existen en Latnoamérica? ¿Cuáles son las consecuencias de estos problemas? ¿Por qué existen estos problemas? ¿Cuáles son algunas soluciones para los problemas? Reviewed previously learned vocabulary with this Google Presentation. Watched a PSA from the Spanish government about desarrollo sostenible (see page 2 here for short wksht with cloze activity and questions). After doing those activities and discussing what students read, heard and saw, we delved in to the song Río by Aterciopelados (wksht here). Students learned about Aterciopelados and the Río Bogotá. The video for Río is a little strange, but very engaging. The lyrics of the song are also pretty comprehensible for these students. 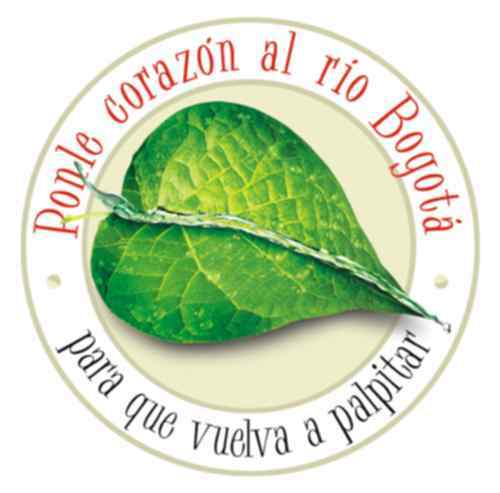 The song emphasizes the importance of water in general with a specific call to save the Río Bogotá. Students did this worksheet to go along with that PSA. 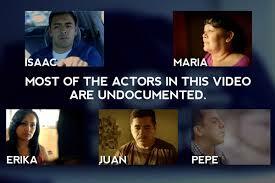 They learned a lot from this PSA and were able to interpret it fairly well. The images and the activities they did before helped them to understand better. Although a bit cursi (and with some interesting singing voices), the song is informative, catchy and engaging. Students may not have liked the song, but they learned from it! (wksht here). We also did some of the activities on this wksht (from Zambombazo). related to the song Agua by Vuelo Adentro. This song is good because it has a good message of hope and change. I particularly like this line, "Veo una luz que se enciende en los niños de hoy"
I would have liked to have spent some more time on this song and some of the others on the class website, but we only had so much time and I did not want to rush through the unit. At the end of the unit, students (individually or with a partner) explored an environmental program and created a presentation to share with the class (see below for detailed description). The projects were good and most were presented to the entire class. The interpersonal assessment had to be about one of the environmental problems that they learned about from someone else's presentation. EXAMEN - (INTERPRETIVE) (click here for more details) (writing) OR Make a video for ¿Qué beberé? or Agua. PROYECTO - (PRESENTATIONAL) (Click here for details) (speaking) - Make a presentation describing an environmental problem in Latin America. Describe the opposing forces in relation to the problem. Describe the benefits and consequences of the situation. Describe some (2-3) possible solutions and choose one that seems fair and reasonable. INTERPERSONAL Writing (click here for details)(writing) - Write a short letter (8-10 sentences) to one of parties involved in the environmental problem, and do one of the following: express sympathy, offer a solution, express opinion, ask questions, offer help.